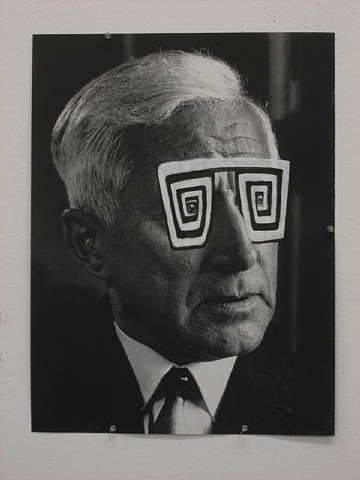 Following on from the two previous posts (here and here), this final entry will conclude the story of Ernst Jünger’s intellectual trajectory from exalted warrior-poet to withdrawn mystic. I will then propose a brief assessment of Jünger’s legacy and contemporary relevance to our present concerns, notably to a putative political accelerationism. We pick up our story with the entry of Germany into the Second World War and Jünger’s new conscription into military service. Now aged 44, his experience of the war would however be quite different from the one that had so decisively shaped him as a young man. Following the successful French campaign, he would spend most of the war in an administrative posting in Paris where he assiduously frequented the literary and artistic circles, meeting collaborationist figures like Pierre Drieu La Rochelle and Louis-Ferdinand Céline but also Pablo Picasso and Jean Cocteau. 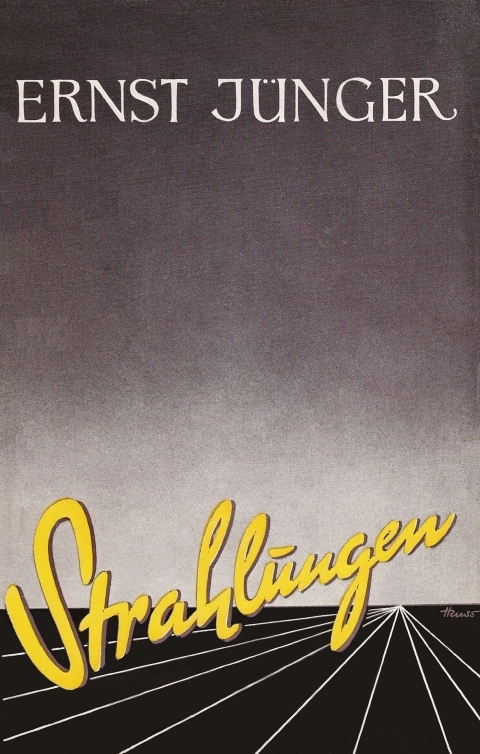 As during the first war, Jünger kept a diary that would eventually be published in 1948 under the title of Strahlungen (“Radiations”). However we encounter within it a markedly different tone, reflective of the different circumstances in which he found himself but also indicative of a retreat from the ideas he had espoused up to the early 1930s. Devoid of much enthusiasm for the war, his writings appear at times almost indifferent to the wider drama playing itself out across Europe but become progressively more somber as the fate of Germany darkens, reports of atrocities in the East filter through, and his eldest son is killed in Italy. Already looking ahead to the end of the conflict, Jünger also worked during the war on an essay called The Peace that proposed a vision of a united federal Europe and was circulated among the internal opposition to Hitler in the Wehrmacht. Several of these figures would be subsequently involved in the failed attempt on the Führer’s life in July 1944, a plot Jünger was seemingly aware of but took no direct part in. The end of the war would nevertheless see Jünger being called to account for his inter-war writings. Having refused to submit to denazification, he would find himself barred from publishing for four years and he returned to live in the German countryside where he would reside until the end of his life. His remarkable longevity would grant him the opportunity for an abundant literary production, penning novels, essays and diaries ranging from science-fiction and magical realism to early ecological thinking and reflections on his multiple experiences with psychedelics. I will however restrict myself here to discussing Jünger’s immediate post-war writings since we find within them a clear statement of both the continuities and breaks with his prior thinking. Of particular importance is the text that he originally composed in 1950 on the occasion of the Festschrift for Martin Heidegger’s sixtieth birthday, Über die Linie (“Over the Line”). We find there a restatement of Jünger’s belief in the possibility of overcoming nihilism, of crossing the “line” that separates us from the new flourishing of life that will come in its aftermath. More than this, he insists that in the wake of the latest global conflagration and the shadow of a possible new war between East and West we are in fact on the very cusp of such an event. Jünger thus maintains that nihilism should not be “considered as the end, but rather as a phase in a spiritual process that encompasses it, one which not only civilisation in its historical unfolding but also the individual in his personal existence can overcome and leave behind, perhaps even growing over it a new skin, like a scar.” Just as Jünger had fixedly sought to find a higher meaning and purpose to the industrial horror of war in the trenches (see the first post in this series), he is here equally determined to see in the latest bout of mechanised bloodletting the augury of a new dawn. The “decisive question” of the age therefore becomes to ascertain “how much genuine anarchy, and thus still unordered fertility, is concealed in chaos” unleashed by the nihilistic triumph of technique. The failure of the Nazis is accordingly to have offered only an “ametaphysical solution, the purely technical execution of total mobilisation” that thereby lacked the necessary corollary of spiritual elevation. Jünger would eventually be forced to concede his wilful post-war optimism had been premature, admitting in a later interview that “after the defeat, I was essentially saying: the head of the snake has already crossed the line of nihilism, it has exited from it, and the entire body will soon follow, and we will soon enter a much better spiritual climate… In fact, we are still far from it.” He would however maintain till the end a sanguine outlook regarding the advent of an overcoming of nihilism, evoking in the final years of his life the twenty-third century as the time of its arrival and further calamities ahead of us before then. In the meantime, it would be necessary to withdraw from the inhospitable age in which we find ourselves, a stance he would first express in terms of a “flight into the forest.” Subsequently, he would put forward the notion of the “anarch”, an independent sovereign individual that eschews any direct confrontation with the present order in favor of a discreet existence within its interstices. Having established this quietist and quasi-mystical posture above the hustle and bustle of politics he had previously dived into headlong, Jünger would never thereafter depart from it for the remainder of his life. It is also undeniable that as the prophet he set himself up as, Jünger was repeatedly confounded by the course of events. The new order reconciling man with technique that he believed was being ushered in under the aegis of the Worker in the 1930s never materialised; in its place came a murderous regime that would fall drastically short of his vision and turn his country into ruins. Liberal societies were not swept away by the tide of history; he would live to see them outlast both its communist and fascist rivals. Total war did not provide the opportunity for the realisation of new heroic ethos of mastery over pain; it would lead only to increasingly undifferentiated massacre and ultimately the spectre of nuclear annihilation. With almost comical obduracy he persisted in forecasting the imminent overcoming of nihilism, never quite abandoning his hope in its advent even if he had to eventually resign himself to never witnessing it himself. This obstinate sense of cosmic necessity finds its root in Jünger’s pronounced disposition to metaphysical thinking that had a tendency to lapse into sheer mysticism. While there is a notorious ambiguity in Nietzsche’s writings as to whether he viewed the “will to power” as merely a doctrinal guide to living or a metaphysical statement about the underlying reality of the world, Jünger unreservedly took it to be the latter (as did Heidegger who employed this understanding as the basis of his own critique of Nietzsche). Such an outlook inclined Jünger to grandiose eschatological pronouncements and teleological formulations to which contemporary minds are mostly inimical to. And yet, for all the ways that Jünger erred, there is a case to be made for the enduring pertinence of his insights into the centrality of technique to modern societies and the tendency towards the latters’ ever greater mobilisation for the purpose of war, even where their manifestations did not take the forms he had expected. So while it may no longer require the centrally planned war economies of the first half of the twentieth century, the world nonetheless remains perpetually on the edge of nuclear armageddon. Jünger’s failure of the imagination was simply that he had not conceived that the advances of technique would be such that we could attain a state of assured global annihilation with only the threat of a few thousand nuclear munitions exchanged within the course of a few hours. The marshalling of military power of apocalyptic proportions has thus remained compatible with the kind of liberal bourgeois societies Jünger believed were otherwise destined to disappear due to their inferior attunement to the needs of war (it is true that Britain and the USA prevailed in World War II but one might question how authentically “liberal” these societies were at the height of their respective war efforts). 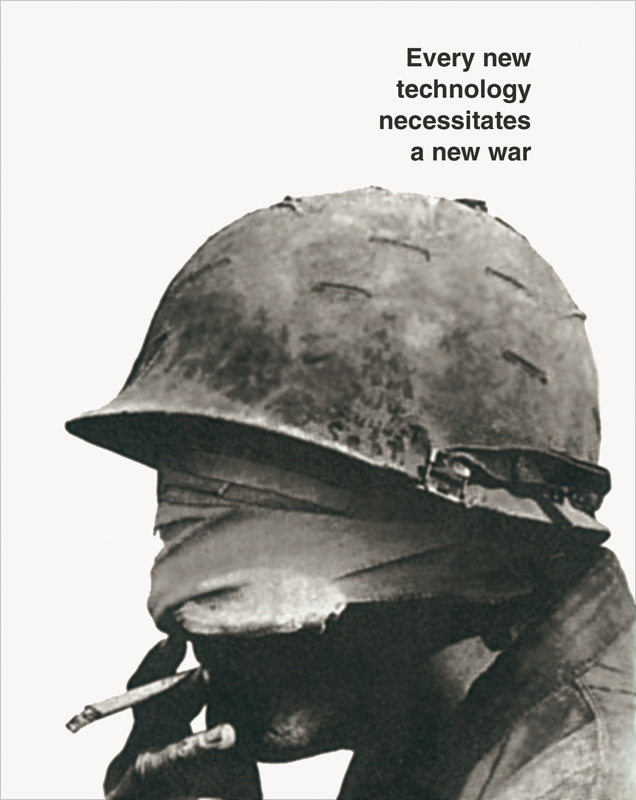 Similarly, the Cold War may never have attained the intensity of armed conflict that characterised the previous world wars but it was no less an all-encompassing struggle, in some ways anchoring the imperatives and logic of the technological war machine more deeply and durably than ever. Less a clash of ideologies that rung increasingly hollow, the conflict was first and foremost one of competing military-industrial-scientific complexes that endured until one of them reached a point of complete enervation. 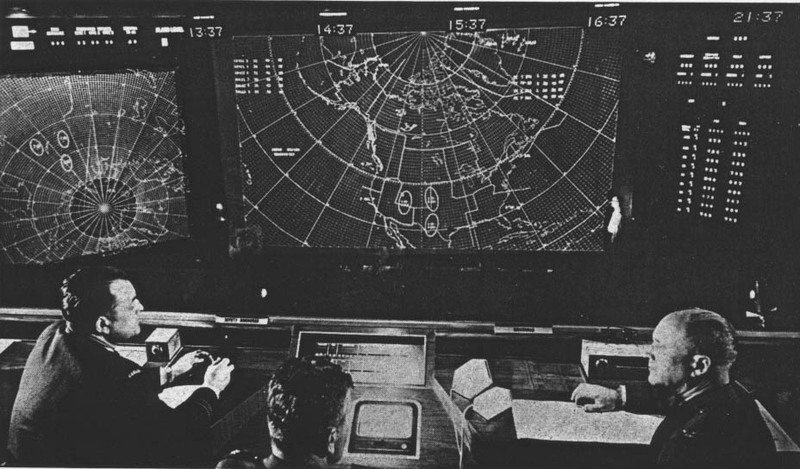 Nor has the end of Cold War entailed true demobilisation, the monolithic threat of superpower rivalry having given way to a proliferation of discourses of security that assert the need to continuously monitor and pre-empt all potential threats to productive life and authorise global projections of calculated violence wherever deemed necessary. While I do think Nick and Alex rightly critique the quixotic character of seeking to shape the planet’s future without engaging with the properly Promethean technologies we are inheriting, Jünger’s own accelerationism also points to the dangers that such an unconditional political position contains. The effects and consequences of technological change are notoriously difficult to predict and it may be very hard to determine in advance whether these will be liberating or oppressive, the ability to steer a course as important as having our foot on the accelerator. Of course, uncertainty and unintended consequences are inherent to any political course of action. But the danger for an accelerationist position is that of lapsing into an aesthetic that fetishises technological change, a seductive affectation of radicality that systematically trivialises or dismisses as reactionary any concerns with the effects of such change. After all, have we yet resolved the problem that obsessed Jünger of finding a means to ensure we do not become merely the object of our machines? As he once put it himself, does “the history of inventions” not raise “ever more clearly the question of whether a space of absolute comfort or a space of absolute danger is the final aim concealed in technology”?